Today, we are looking at quite a specialist torch that towers above anything in the same league. 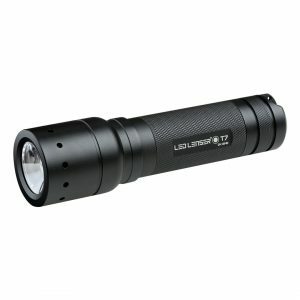 The LED Lenser T7 (7439) Tactical Torch (Gift Box) is roughly the same size as the brilliant LED Lenser P7 (8407) Professional Torch we have previously looked at and similarly it uses 4 x AAA batteries (included). The LED Lenser T7 is often a favourite for our local forces and there are many accessories available that can be used to attach the T7 torch to not only a bike but even a gun! Using LED Lensers one handed speed focus, the T7 uses a quick cycle switch system with two main settings, clicking the tail switch once for maximum light and again for a dimmed light. Right now you can grab an amazing bargain with the T7 as we are currently selling at the outstanding price of £43.48 inc VAT, that’s an amazing £12.71 off the RRP! If you’d like to purchase some additional AAA batteries for use with this torch, we recommend the Duracell Plus Range or please feel free to view our entire LED Lenser Range on our Online Shop. World’s Largest Torch by LED Lenser!